These words had a profound impact on the development of Christian monarchy in the West. Critically,Hannah’s song brings together into a unity her personal life, the life of the nation, and the life of Christ and his kingdom rule, all into one great prayer of praise. This should be the direction of Christian prayer and of our lives as believers. The gospel is no private, spare-time spirituality; it is all-encompassing because it concerns one’s personal life, family life, cultural life, and the life of the nation in its relation to the kingdom of God. It is very important to note what this episode in the history of Israel teaches us today – especially in view of the family of Eli, who was Samuel’s guardian and mentor.A church or a people which rejects the living God and his law-word inevitably produces a culture that rejects fathers, fatherhood and godly authority – for God himself is revealed as Father, Son and Holy Spirit. In such a culture, family is threatened and collapses, just as Eli’s family collapsed and was judged emphatically. The church is meant to model the fatherhood of God to the world. But we live in an age of a deeply corrupted church and priesthood in the West: a context where God’s faithful fatherhood – as a covenant-keeping God who rules through his Son as King of all kings – is obscured or denied by many, and where God’s norms for complementarity in family and the church are badly distorted. Liberal-progressive women bishops, pastors and priests frequently preside over radically feminised, homosexualised and declining churches who call them to office, while emasculated men sit back and do nothing, or applaud apathetically from the sidelines. The present cultural rejection of fatherhood should therefore be no surprise to us. Its perverse reinvention of God’s norms for sexuality and the family produces both a widespread delinquency and fatherlessness of children. Just as Eli’s sons rejected their father’s authority, apparently in part due to his negligence, our culture is in the grip of a radical denial of fatherhood, family and familial authority. God’s faithful people must restore the hearts of children to their fathers. This includes recovering respect and gratitude for our past, our Christian cultural heritage and our fathers in the faith – not tearing down their statues and trampling their legacy underfoot. In addition, just as Eli’s sons, who served as priests, robbed God and the people in the tabernacle, and committed sexual immorality, so ecclesiastical theft from God and the people – in the form of faithlessness, disobedience, rebellion, sexual perversion and the misuse of God’s resources – is a mark of large parts of the modern egalitarian church (in some cases, even evangelical movements). From liberal Protestantism’s enthusiastic adoption of LGBTQ affirmation, to a sexually perverse segment of the Roman priesthood abusing children, and an evangelical church all too often disinterested in God’s reign and law, declining to speak out for the King, we have greatly accelerated the collapse of our own culture. Most especially the established church in Britain (and the informal establishment in Canada) has dragged the nation down and robbed the people of truth, meaning, and the gospel. The spirit of Hophni and Phineas is the spirit of much of the modern church. If any of you has a legal dispute against another, do you dare go to court before the unrighteous, and not before the saints? Or don’t you know that the saints will judge the world? And if the world is judged by you, are you unworthy to judge the smallest cases? Don’t you know that we will judge angels—not to mention ordinary matters? So if you have cases pertaining to this life, do you select thosewho have no standing in the church to judge? I say this to your shame! Can it be that there is not one wise person among you who is able to arbitrate between his brothers? Instead, believergoes to court against believer, and that before unbelievers! Scripture is plain however that Jesus Christ isthe same yesterday, today and forever. Heaven and earth shall pass away, but His Word shall never pass away! The grass withers and the flowers fall, but His Word shall stand.Let God be true and every man a liar! The spirit of the age demands a new word and originality. But if Christians want true originality, they must speak the truth! In a day when truth is rare, speaking the truth makes one original even when you are not aware of it. If we stay true to the Word, making God’s testimonies our meditation, then as King David discovered, we can have “more understanding than all [our] teachers” (Ps. 119:99). It certainly goes very much against our natural inclinations at times, to say what the Lord has commanded to a rebellious culture. 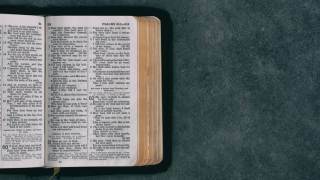 Yet if the Word of God has come to us in Jesus Christ and the scriptures, we cannot break away from its influence – it is always there in our ears holding us to account. As the apostle Paul wrote, “woe is me if I preach not the gospel!” (1 Cor. 9:16). 1 Guillaume Groen Van Prinsterer, Christian Political Action in an Age of Revolution (Aalten, The Netherlands: WordBridge, 2015), 8, 88-89.